Hall of the Mountain King: Still Spinning: Black Sabbath, "Sabotage"
Master of Reality, from 1971, has an almost cult-like following among Sabbath fans who claim that it was the first record where the band truly brought it together. Vol. 4 (1972) and Sabbath Bloody Sabbath (1973) will get their time, and devotees of the Ronnie James Dio years will be sure to interject Heaven and Hell (1980) and Mob Rules (1981) into the discussion. All are outstanding and worthy pieces of the Sabbath catalog, and good arguments can be made for all of them as Sabbath’s best work. Often overlooked and criminally underrated, though, is the band’s 1975 masterpiece (in my opinion, of course) Sabotage. Recorded at a time when the relationships in the band were just beginning to fracture, the album has a slightly different feel than the first five Sabbath albums. There was some experimentation on this record, but it wasn’t too off the wall, as on 1976’s Technical Ecstacy. There was tension, but it wasn’t like 1978’s Never Say Die!, which Ozzy Osbourne, having quit the band, basically phoned in. Sabotage represents a band still at the height of its powers, but just on the brink of slipping into chaos, and that translates into the music. There’s certainly more variety than on earlier albums. Among the eight tracks are two of the heaviest songs in the band’s arsenal — arena-rock bits, blues-rock numbers, a choral piece and a pop song that just might be the strangest one in Sabbath’s catalog. Sabotage blasts out of the gate with a raging slab of metal, “Hole in the Sky.” Guitarist Tony Iommi is the undisputed king of the metal riff. Name the top 10, and he owns them all. “Hole in the Sky” would be on that list, near the top. The main riff swaggers, swings and crushes all at once. 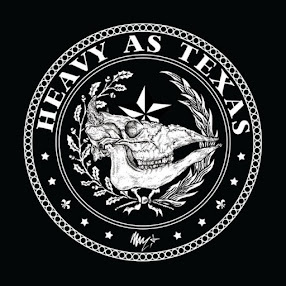 There are hints of the band’s blues background in it, there’s a head-bobbing melody and there are those two big power chords that bring it back to the dark, doomy, oppressive sound fans had come to know and love. Drummer Bill Ward and bassist Geezer Butler, who I’ve always felt was the true backbone of Ozzy-era Sabbath, are locked into the groove, as always, and the song also features one of Ozzy’s best vocal performances. Sabotage belongs in the conversation based on “Hole in the Sky” alone. But it has much more to offer. After a brief instrumental interlude that allows Iommi to show off some acoustic skills, we come to the proto-thrash number “Symptom of the Universe.” It’s arguably Sabbath’s heaviest tune, but it’s also a very important song — and not just because it’s my favorite. “Symptom of the Universe,” along with Queen’s “Stone Cold Crazy,” forms the bedrock that the 1980s thrash movement was built on, leading directly to bands like Metallica and Megadeth. No “Symptom of the Universe,” no Metallica. Or, at least not the same Metallica. But for all of the song’s speed and heaviness, there’s a twist at the end. The distorted open E chugging and power chords drop out, and the last two minutes of the song become an organic bluesy acoustic jam that couldn’t be further from the tune’s opening. It shifts from anger, apocalypse and aggression to peace, love and happiness on a dime, and that’s one of the things I love about it. Then things start to take a turn. Fourth track “Megalomania” opens with more doom and gloom. The first part of the song is a bit creepy with a vocal line that always draws a picture of a guy in a straightjacket and padded room in my mind. It’s really a little more Alice Cooper than Black Sabbath. About three minutes into the 10 minute opus, though, Ward starts whacking a cowbell, and all of a sudden we’re in the middle of an uptempo rocker with an almost happy hook. No surprise that the lyrics are about a schizophrenic soul, and the music matches perfectly. “The Thrill of It All” is a pretty straightforward grooving blues rocker with another solid vocal performance from Ozzy Osbourne. In fact, Sabotage as a whole features possibly the best work of his career, as he pushes his vocal cords a little more than usual. There are moments here when Ozzy reaches right out to the edge of what he’s capable of, and in slightly different ways than we’d heard before. That leads us into the strangest section of the album. “Supertzar” mixes distorted electric guitars, jangling acoustics, chimes, symphonics and the English Chamber Choir. To be honest, it sounds like there were some good drugs going around the studio that day, but it works. The good drug theory, though, comes into full play on the next track, “Am I Going Insane? (Radio).” Don’t bother looking for the non-radio edit of the song. It doesn’t exist. The “(Radio)” part of the title is apparently some kind of code-word/inside joke. The song opens with this kind of psychedelic, slightly Spanish-flavored keyboard riff. The guitars are pushed into the background, and it’s altogether too lightweight for Sabbath. It’s somewhere between the pop end of 1960s psychedelia and early Pink Floyd. I’ve been listening to it for a couple of decades now, and I’m still not sure what to make of the song. As “Am I Going Insane?” fades out with crazed laughter, the final track on the record, “The Writ,” begins to build with a methodical bass line from Butler. Out of nowhere, Ozzy shrieks out the first lyrics accompanied by Iommi’s guitar. It brings things back to the blues rock sound with an impassioned performance, but still dallies with the progressive and psychedelic, incorporating some backwards snare and returning to that low bass line again. About halfway through, there’s a poppy section, followed by a couple of shiny clean guitar interludes with more chimes from Ward that give it an almost music box feel. Then they bring the song home near the eighth minute with another heavy rock riff that fades out the most unique of Black Sabbath’s classic first six records. The end of Sabotage also begins the fade out of the Ozzy era of the band. Though the two records that followed both have their moments, it wasn’t until 1980 and the entrance of Dio that the band put out another truly amazing record with a sound so altered that, at times, it would be hard to identify the music as Sabbath. There’s also a very powerful argument to be made for that record as the band’s best, but I’ll save that one for another time. 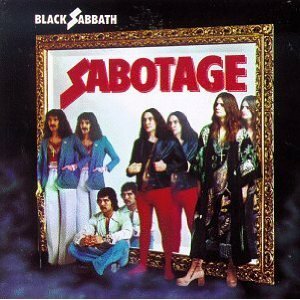 Sabotage isn’t likely to overtake the groundbreaking debut record or the hit-filled Paranoid as Sabbath’s best work in most people’s minds, and I understand that. But the next time you’re looking for a Sabbath fix, dig a little deeper and give it a listen, especially if you haven’t heard it in a while. It might just be a much better record than you remember. This is my favourite Sabbath LP, & nearly point by point my feelings are the same as you've outlined. It ain't perfect, if by some magic "Am I going Insane" was "Sabbath Bloody Sabbath" with the laughter...then it would be perfect. Neat record to play for those who think the Sabs were only capable of being slow & sludgy.